The author of "Tone Man" playing one of his original compositions. Hard to tell but I think that's and original burst. For those who don't know this is Kunio Kishida, an avid 'burst enthusiast and player. I just received my copy of his book of the same name and spent hours looking through it. Picture after picture of original bursts. It's my understanding it's a mix of his current collection, guitars he has owned previously and other examples. "Nancy", his main guitar is pictured on page 8. 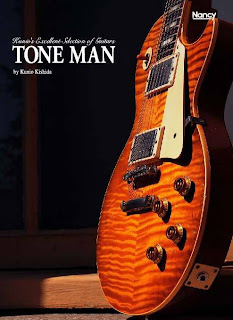 This book is a must have for any Les Paul devotee. Kunio has also recorded a couple of albums, "Swamp Waters" and "Alabama Boy". You can also catch him on Youtube. In mid-August of 1965 Jimmy Page was the house producer for the newly formed Immediate Records. Jimmy played a huge part in getting John Mayall in for a recording session with his hot new guitarist, Eric Clapton. Eric brought his recently acquired gear along to the session. 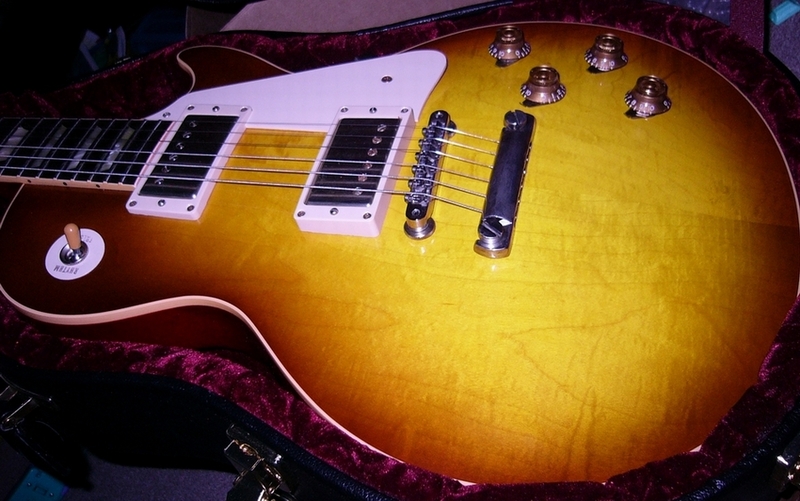 A Les Paul that he purchased from Lew Davis's guitar shop sometime in May, as well as a Marshall amplifier. The sound from this combination so horrified the engineer he turned off the machine, saying it was unrecordable. He couldn't believe anyone wanted a sound like that. Page persuaded him to turn it back on and he would take full responsibility and history was made. The Mayall single "I'm Your Witch Doctor" was the result. Page has stated in interviews that Clapton deserves all the credit for the creation of that Les Paul/Marshall sound. This is out of the Strange Brew book that I have been reading. It's fascinating to see all the interaction of the players and bands as the time goes along. The book lists not only live shows but who was there. Peter Green saw Mayall with Clapton and was inspired to purchase a Les Paul for himself. I don't think I need to tell anyone how that went. Jack Bruce ended up playing with John Mayall and Clapton because Ginger Baker wanted him out of the band that he was in previously. Clapton knew Steve Winwood from impromptu jam sessions on stage with Spencer Davis. I have always been interested in where these musicians come from. When I was younger they just seemed to come from nowhere. This book is highly addictive. After reading the "Strange Brew" and listening to John Mayall I have a greater appreciation for Clapton. Here is one of my favourites from Cream. Nice version of this tune done in 1966. Great hang time on the first note. Notice the similarities between this version and the Zeppelin one. The main repeating riff is used by Jimmy Page and built on for the solo. Zeppelin's version is classic Page arrangement with Jones and Bonham providing a rhythm framework for Page's guitar and Plant's vocals. Otis is playing a righty turned over and still strung for the right hand. It's damn hard to do that. This is the album that started it all in the U.K. John Mayall with Eric Clapton broke blues music with the general public and started the blues boom in England. Clapton has legendary tone on this one. So much wood you could make your own guitar. He's using an early Marshall JTM 45 turned way up. Not only did he set the benchmark for tone but he changed the way the guitar was recorded. He refused to turn down so the engineers had to figure out a way to mic him. And figure it out they did. This album and the debut from Butterfield Blues Band are probably the two most important white blues albums of the 60's.